In 1948 he returned to Poland and was vicar of various parishes in Cracow as well as chaplain for the university students until 1951, when he took up again his studies on philosophy and theology. In 1953 he defended his habilitation thesis on "evaluation of the possibility of founding a Christian ethic on the ethical system of Max Scheler" at the Faculty of Theology of Jagiellonian University (It was the last habilitation before closing the Faculty by comunist goverment). Since the start of his Pontificate on October 16, 1978, Pope John Paul II has completed 95 pastoral visits outside of Italy and 142 within Italy . As Bishop of Rome he has visited 301 of the 334 parishes. His principal documents include 14 encyclicals , 13 apostolic exhortations , 11 apostolic constitutions and 42 apostolic letters. The Pope has also published three books : "Crossing the Threshold of Hope" (October 1994); "Gift and Mystery: On the 50th Anniversary of My Priestly Ordination" (November 1996) and "Roman Tryptych - Meditations", a book of poems (March 2003). 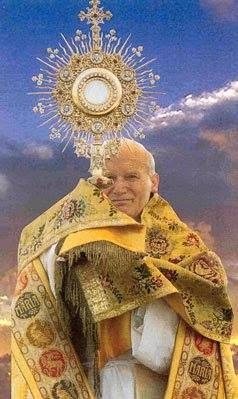 John Paul II has presided at 138 beatification ceremonies ( 1,310 Blesseds proclaimed ) and 48 canonization ceremonies ( 469 Saints ) during his pontificate. He has held 8 consistories in which he created 201 cardinals . He has also convened six plenary meetings of the College of Cardinals. 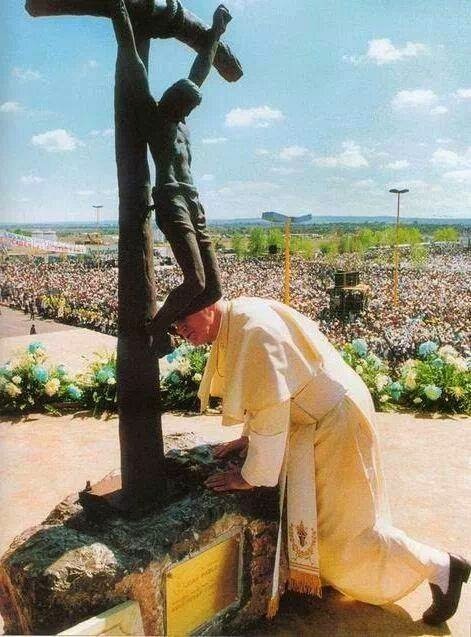 No other Pope has encountered so many individuals like John Paul II: to date, more than 16,700,000 pilgrims have participated in the General Audiences held on Wednesdays (more than 1,000). Such figure is without counting all other special audiences and religious ceremonies held [more than 8 million pilgrims during the Great Jubilee of the Year 2000 alone] and the millions of faithful met during pastoral visits made in Italy and throughout the world. It must also be remembered the numerous government personalities encountered during 38 official visits and in the 690 audiences and meetings held with Heads of State , and even the 226 audiences and meetings with Prime Ministers. On May 18, 1920, during the month traditionally dedicated to Mary the Mother of the Lord, one of her greatest treasures for the Church of her Son was born in the town of Wodowice, 35 miles southwest of Krakow Poland. 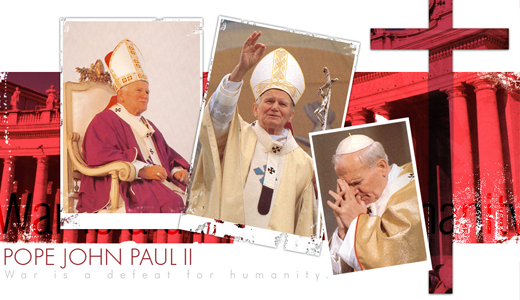 The world would later receive him as Blessed Pope John Paul II. His name was Karol (Polish for Karl or Charles) Josef Wojtyla. His hometown had about 10,000 residents, roughly 8,000 Catholics and 2,000 Jews. He was given a nickname by his friends, "Lolek." Karol was Baptized into Christ and His Church on June 20, 1920 by a Chaplain in the Polish Army, Fr. Franciszek Zak. Karol was the son of a Polish Army Lieutenant also named Karol, a tailor by trade. Karol's mother Emilia, was a schoolteacher. He had an older brother named Edmund and sister named Olga. His brother became a Doctor in the town of Bielsko. Sadly, his sister died before Karol was born. 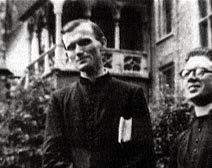 The Wojtylas were faithful Catholics. They rejected the growing anti-Semiticism among some Poles in that troubled time. One of young Karol's friends was Jerzy Kluger. He later recalled playing soccer with Karol. The teams were divided between Catholics and Jews. However, given the disparity in numbers, he recounts that young Karol would volunteer to play on the Jewish team in order to make the game more competitive and even out the odds. This friendship lasted for a lifetime. Jerzy later participated in the dialogue which led to the extension of the Vatican's diplomatic recognition of the State of Israel. A special love for the Jewish people took root in young Karol. 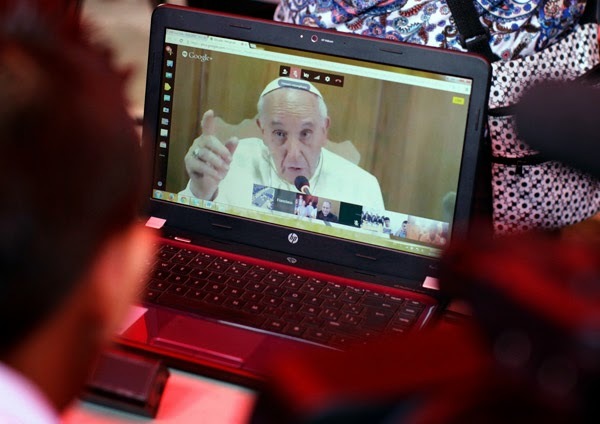 It was demonstrated dramatically during his Papacy when he visited the Central Synagogue of Rome and condemned anti-Semitism "at any time and by anyone." It was prophetically proclaimed in actions upon his visit to Auschwitz to honor the victims of the Holocaust. He was fond of regularly referring to the Jewish people as "our elder brothers" and taught the whole Church to do the same. Young Karol lost his mother a month before his ninth birthday. She died of heart and kidney problems. When he was only 12 years old his brother the Doctor died of scarlet fever. A childhood friend named Szczepan Mogielnicki told one news source that "he lost his childhood at 12, when he lost his brother... There was no youthful folly in him. Even when he played sports, he was very concentrated, but of course, he had a lot of passion. He was a very noble person, and he expressed things in a very noble way, but there was no folly." Father Karol and son Karol lived in a one room apartment behind the parish church. The elder Karol sewed his sons clothing and watched over his studies. He taught him to be self disciplined and to work hard. He was deeply devoted to raising the son he loved. Another friend recalls entering the small apartment and finding father and son playing soccer with a ball made of rags. Karol credited his Catholic faith to the influence of his beloved father. The Church was a vital part of their life as a family. He made his First Holy Communion at age 9, they practiced their Catholic faith in the home and Karol was confirmed at 18. Upon graduation from Marcin Wadowita high school in Wadowice, he enrolled in Krakow's Jagiellonian University in 1938 and in a school for drama. 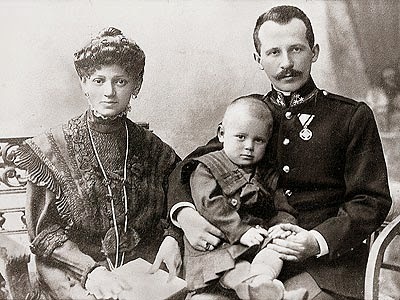 During his early schooling young Karol Wojtyla participated in his first theatrical performances. His lifelong love for the theater and all of the arts was born. He began writing poetry. He performed in his first student theatrical productions. He began the study of Greek, was elected president of the Sodality of Mary, and made his first pilgrimage to Czestochowa, home of the Image of Our Lady of Czestochowa. It was also during this time that he impressed Adam Cardinal Sapieha, the Archbishop of Krakow. According to his friend Fr. Mieczyslaw Malinski, Karol's skill as a speaker caught the Archbishops attention when he visited the young man's school. Karol had been chosen to give the welcoming speech - and he did so with great skill. The Archbishop asked the pastor of the parish whether young Karol had considered the priesthood. He was told that Karol had his heart set on pursuing an acting career in the theatre. "There was a clear sense that what I heard in my heart was no human voice, nor was it just an idea of my own. Christ was calling me to serve him as a priest. And you can probably tell that I am deeply grateful to God for my vocation to the priesthood. Nothing means more to me or gives me greater joy that to celebrate Mass each day and to serve God's people in the Church. That has been true ever since the day of my ordination as a priest. Nothing has ever changed this, not even becoming Pope." When Karol enrolled in Jagiellonian University in the fall of 1938 he first entered the school of philosophy. He also joined "Studio 38" an "experimental" theatre group where he continued acting. Events in Poland intervened in his life and interrupted his formal studies. However, nothing would interrupt his continued pursuit of learning. The troops of the National Socialists of Hitler's Germany invaded Poland in 1939. They quickly overtook the ill prepared Polish army. Among the many immediate acts of aggression undertaken by the Nazis was to close the University. Young Karol took a job in 1940 as a stone-cutter at a quarry in Zakrzowek, near Krakow. He later worked in the Solvay chemical factory to earn a living and avoid being deported to Germany. However, it was during those dark days that the seed of his priestly vocation was being watered and the light of his growing faith began to illuminate the path he would take in response to God's call. 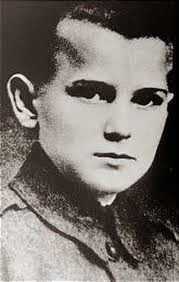 During this time Karol Wojtyla came to know Jan Tryanowski, a young Catholic layman and youth leader at St. Stanislaus Kostka parish in the 1940s. That was Karol's university parish. During the Nazi occupation, priests were at a minimum. This young layman Jan had an extraordinary impact on Karol's life. He may have also contributed to the future Pope's lifelong conviction concerning the call of the lay faithful to fully participate in the mission of the Church. During his later participation in the Second Vatican Council and throughout his pontificate, he would be a champion of the universal call to holiness and the vital apostolate of the lay faithful. This tailor Jan Tryanowski was a mystic, a man of deep prayer, who studied the writings of St John of the Cross and spirituality of St. Teresa of Avila with great intensity. Initially, young Karol was not all that impressed with Tryanowski. However, the Holy Spirit was unfolding a plan in young Karol's life. He became increasingly drawn to the tailor's interior life of prayer and deep real world aith. Tryanowski became a mentor to Karol. His influence helped to set the future Pope on a path which not only changed him but would change the whole world through him. Jan Tryanowski taught Karol about union with God and the call to abandon all to follow Jesus. "He was one of those unknown saints, hidden amid the others like a marvelous light at the bottom of life, at a depth where night usually reigns. He disclosed to me the riches of his inner life, of his mystical life. In his words, in his spirituality and in the example of a life given to God alone, he represented a new world that I did not yet know. I saw the beauty of a soul opened up by grace." In 1942, the seeds of his priestly vocation had taken deep root. 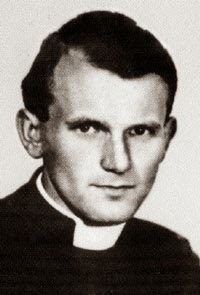 Aware of his call to the priesthood, Karol Wojtyla made the choice to began courses in the underground seminary of Krakow. It was being run by Cardinal Adam Stefan Sapieha, the Archbishop of Krakow. However, Karol continued his acting, writing, and poetry. He became one of the pioneers of the "Rhapsodic Theatre". It, like seminary formation, was also forced underground by the Nazi occupation. This connection between the beauty of the Arts and the Christian vocation became a continuing theme of Karol Wojtyla. In one of his least known Papal letters entitled a "Letter to Artists" Blessed Pope John Paul would write of "vocation" of artists to create "Epiphanies of Beauty." 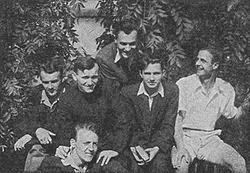 After the Second World War the seminarian Karol Wojtyla entered the re-opened major seminary in Krakow. He also enrolled once again at Jagiellonian University to study theology. He was ordained to the diaconate and then to the priesthood by Archbishop Sapieha in Krakow on November 1, 1946. His intelligence and aptitude for further study became clear to the Archbishop, by then elevated to Cardinal. He sent Fr Karol Wojtyla to Rome to study and work under one of the great scholars and spiritual writers of the Church, the French Dominican, Fr. Garrigou-Lagrange. Fr. 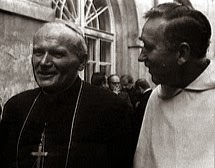 Karol Wojtyla first entered into graduate studies at the Pontifical University of St. Thomas Aquinas (Angelicum) in Rome. His intelligence was one of the many gifts, both natural and spiritual, which he offered to the Lord. While a student, he roomed with Fr. Starowieyski, another Polish priest at the Pontifical Belgian College, with whom he became friends. In 1947, he received his STL (License) which, in the European University system, is an absolute requirement to teach. That summer the two traveled to France, Belgium and Holland. In the area of Charleroi he carried out his pastoral activities with the Polish workers. Then, under the oversight of Fr. Reginald Garrigou-Lagrange, OP, he began his studies toward a Doctorate. The influence of Jan Tryanowski was still bearing fruit in the life and thought of Fr. 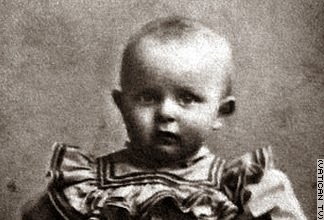 Karol Wojtyla. He sought approval for a dissertation topic "The Problem of Faith in the Works of St. John of the Cross." He wrote the dissertation and successfully defended it. He later earned a master's degree in theology at the Jagiellonian University in Krakow's well as a doctorate in sacred theology in the Faculty of Theology at the Jagiellonian Universiity. He was called to Krakow to be an assistant pastor at St. Florian's in Krakow and serve as a chaplain to university students and health workers. In 1951 Archbishop Baziak who had replaced Cardinal Sapieha gave Fr Karol a sabbatical in order to enable him to qualify as a University Professor. For two years he worked on this further academic position successfully completed his examinations. He also had to write and defend another thesis in order to qualify for a university professorship. This he diligently pursued for the next two years. His philosophical interests lay in the area of phenomenology and he focused on a philosopher named Max Scheler. He began to see the limitations of the approach. As a result, the seeds were planted in Fr Karol the scholar, student and professor to begin what would later become his own contribution to the field of philosophical ethics and the renewal of Catholic Moral theology. He began his teaching experiences by offering a class on social ethics to fourth year theology students in the seminary. As time passed, Jagellonian University merged its theology program with the archdiocesan seminary. In effect, the entire faculty of the theology school was eliminated. So Fr. Karol Wojtyla accepted what was originally a non-tenured professorship at the Catholic University of Lublin. In 1956 he was appointed to a Chair in Ethics and the next year he was approved as a full lecturer. For the next twenty years he taught and developed his thought in the field of Ethics and moral Theology. In 1958 Fr Karol Wojtyla was called to another assignment in his continuing response to the vocation the Lord had given him. He was ordained to the fullness of Holy Orders and received his first Episcopal assignment as an auxiliary Bishop to assist Archbishop Eugeniusz Baziak of Krakow. His enormous gifts of both teaching and pastoral care continued to be offered to the Church of Poland. Bishop Karol Wojtyla taught at University and provided pastoral care to students. Though he had already published many articles in areas of both philosophical and theological interest in his academic studies and early University research and teaching, it was during this period of time that he wrote his first major book entitled "Love and Responsibility." In it, the seeds of his rich understanding of the nature of the human person, created in the Image of God and called to love, began to form and be articulated. In addition his practical pastoral experience drew even more fully into consideration of the nature of human love in the Divine Plan. On October 5, 1962 Bishop Karol Wojtyla joined Bishops from around the world as the Second Vatican Council was convened in Rome. He attended every one of the sessions, contributing significantly and being deeply formed as well as changed by the experience. During this time of the Council, his life as a Bishop of the Church underwent a significant development. Archbishop Baziak of Krakow died and after the first session of the Council, Bishop Wojtyla was again called to say "yes" to the invitation of the Lord speaking through His Church. Pope John XXIII appointed Bishop Wojtyla to become Bishop of Krakow. At the time of the appointment, his beloved Poland was under the oppression of another inhuman ideology, atheistic communism. As a result, he was not officially appointed until 1964 by Pope Paul VI and was formally installed on March 8, 1964. 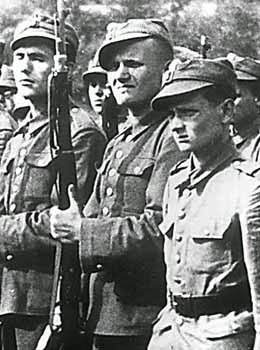 This son of Poland who had studied for his ordination in an underground seminary during the infamous oppression of the Nazi's was to live and lead through another era marked by an ideology which failed to recognize God and, as a result, failed to defend the dignity of human persons created in His Image. He would later be elevated to the office Cardinal by the same Pope Paul VI on May 29, 1967. During the three years of the Second Vatican Council, Bishop Karol Wojtyla played a significant role at the Council. He actively participated in the debates and assisted in the drafting of the decrees which were produced by the Council Fathers. Of particular note, the future Pope was a participant on the commission which drafted the Pastoral Constitution on the Church in the Modern World, Gaudium et Spes. The theological anthropology which emerged from that profound document would become one of the foundations of his extraordinary teaching magisterium when he assumed the chair of Peter many years later. He is known to have also contributed to the seminal Declaration on Religious Liberty, Dignitatis Humanae, and the Decree on the Instruments of Social Communications, Inter Mirifica. After this historic Council, Bishop Karol Wojtyla returned to Poland to implement the teaching of the Council Fathers. He wrote one of the most significant books concerning the teaching of the Council entitled "Sources of Renewal" in 1972. It is the only book written by a Bishop who participated in the Council. In it one finds the seeds and themes which would later come to full flourishing as he wrote his encyclicals, apostolic letters and exhortations after being elected to the Chair of Peter. Among the many effects of the Second Vatican Council were structural reforms. Two of the institutions affected were the Synods of Bishops and the Conferences of Bishops. By then Karol Wojtyla had been named a Cardinal. He was elected to Vice-presidency of the Polish Bishops Conference. His courage was evident in the strong leadership he provided to the Church of Poland as she faced persecution under Communist Rule. Throughout the 1970's Karol Cardinal Wojtyla made significant contributions to the Bishops assemblies, serving in numerous leadership capacities. This Cardinal of Poland emerged as a courageous defender of the faith and an excellent theologian, helping to implement the reforms begun by the Second Vatican Council. His papers and presentations continued to enrich the universal Church. The themes which would characterize his Papal magisterium sunk their roots deep and were watered by the wisdom he gained in providing pastoral care to the people of God in his beloved Poland. He was a light of truth throughout those turbulent years as he traveled to Rome for meetings. 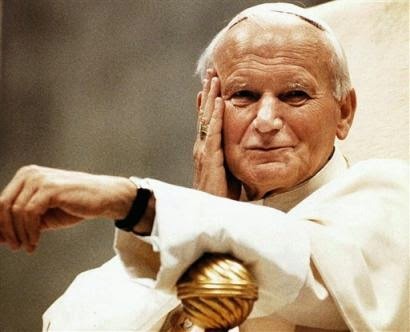 On August 11 -12, 1978, he traveled to Rome to attend the funeral of Pope Paul VI and the events which followed would mark another call from the Lord; one which would both surprise and change the whole world. Karol Cardinal Wojtyla's was selected as a Cardinal by Pope Paul VI in 1967. In March of 1976, he was invited to give a Lenten retreat to the aging Pope. The talks became a book of deep spiritual insights and reflections entitled "Sign of Contradiction." He was chosen by the late Pope to be his representative to the International Eucharistic Congress held in the United States in July of 1976, the Nation's bicentennial. It would be the beginning of a deep and enduring friendship with the American people. Cardinal Wojtyla had a deep conviction of the importance of Pope Paul VI's Encyclical Letter Humanae Vitae, On Human Life, published in 1968. It was about more than the regulation of birth and issues of contraception; it was about the dignity of the human person and human love in the Divine Plan. Sadly, the letter became a rallying point for some who chose to dissent. However, Karol Cardinal Wojtyla's work in theological anthropology, his development of a theology of marriage and family, and his Wednesday Catechetical Instructions (later compiled as "Human Love in the Divine Plan" and popularly called the "Theology of the Body") as Pope, clearly built upon this important Encyclical letter of Paul VI and have ensured its lasting effects. The death of Pope Paul VI on August 6, 1978, the Feast of the Transfiguration, brought Cardinal Wojtyla to Rome where he participated in the Conclave which elected Cardinal Albino Luciani of Venice as Pope. The gentle smiling Pope took the name John Paul I to represent his commitment to continuity with the pontificates of both of his predecessors and the Council which they presided over. Sadly, 33 days later Pope John Paul I died in office. 1978 then became the year of three Popes. Karol Cardinal Wojtyla soon heard the Lord call him to an assignment he probably never expected when he studied for the priesthood in an underground seminary in Poland. On October 16, 1978, the Cardinals gathered under the guidance of the Holy Spirit and chose Karol Cardinal Wojtyla as the 263rd successor to the Apostle Peter. 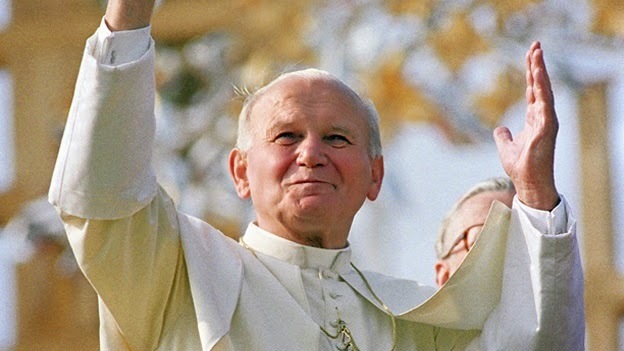 He took the name John Paul II as his first teaching act, sending the signal of continuity. He stepped out on to the balcony in St. Peters Square and proclaimed: "Be Not Afraid! Open up, no; swing wide the gates to Christ. Open up to his saving power the confines of the State, open up economic and political systems, the vast empires of culture, civilization and development... Be not afraid!" Affirmed by many as one of the chief architects of the Second Vatican Council and its extraordinary document on the relationship of the Church to the "modern" world" (entitled "Joy and Hope" or "Gaudium et Spes" in Latin), this strong, passionate, charismatic priest and Bishop now occupied the chair of Peter. At a critical time in the history of both the Church and the world, he stepped forward like a lion, with a prophetic roar. He strode onto that platform with strength and vitality. This mountain climbing Polish Pope was so filled with the love of God it was contagious. A talented and gifted "man of letters", a playwright, a philosopher, an intellectual giant, a poet, but more importantly, a genuine human being with a heart that embraced the whole world, like the Heart of the One whom he represents on earth. He truly has been the "Vicar of Christ", representing the Lord, the King of Kings, for so many millions throughout the world. Like a lion in Peter's chair, he consistently and tirelessly lived what he boldly proclaimed with great courage. Unafraid, he traversed the globe, proclaiming freedom to the captives and truth to the victims of failed false ideologies that had ravaged the people of the twentieth century, the bloodiest in all of human history. He has not stopped passionately re-presenting the classical, unchanging, Christian message with a prophetic urgency, profound clarity and contemporary relevance. Communism, atheism, secularism, false humanisms... have now all been exposed in both their empty promises and the horrors that they unleashed in the wake of their false utopian claims. This Pope proclaimed that the "Redeemer of Man" (the title of his first encyclical letter), Jesus Christ, is the path to authentic personal, social and universal freedom! He authored more encyclical letters, apostolic exhortations, constitutions and letters than any Pope in the two thousand year history of the Christian Church. In these writings and so many allocutions, this marvelous man has given us a treasury to unpack for centuries. He meticulously and brilliantly developed themes during his service to the Church and the world. 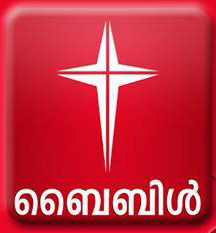 Among them; "The Culture of Life", "The Civilization of Love", "The New Evangelization", "The New Springtime of world missions ", "The Universal Call to holiness"; "Christian Marriage and family life as a domestic church"; "A Spirituality of Communion"; "The Theology of the Body"; "The Common Good"; "The Unity of Life"; "The New Humanism"; "The New feminism and the Feminine Genius"; "The Two Lungs of East and West"; " Catholic Action", and a "New Advent" for all of humanity in Jesus Christ. His writings were vast, 14 Encyclicals, 15 Apostolic Exhortations, 11 Apostolic Constitutions, 45 Apostolic Letters and five books, "Crossing the Threshold of Hope" (October 1994), "Gift and Mystery, on the fiftieth anniversary of my ordination as priest" (November 1996), "Roman Triptych" poetic meditations (March 2003), "Arise, Let us Be Going" (May 2004) and "Memory and Identity" (February 2005). He promulgated the Catechism of the Catholic Church. He reformed the Eastern and Western Codes of Canon Law. He was an extraordinary Pope on every front. His magisterium set a framework for what is becoming under his successor, Pope Benedict XVI, a new missionary age. His teaching helped to bring about an authentic renewal of the Church. It also reasserted the mission of the Church to engage and transform human culture, including the arts, politics, the academy, and economic and political realm - because no area of human experience is "off-limits" to the influence of the Gospel and the Church. The Church is, in the words of the Fathers of the second Vatican Council, an "expert in humanity". 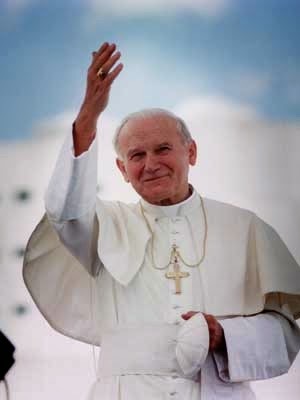 Blessed Pope John Paul II called all men and women to the Redeemer, Jesus Christ. He reminded us that only in Jesus Christ can we discover the purpose and fulfillment of human life. He proclaimed that human existence itself is an invitation to communion with God and with one another. He told an age bent of "self fulfillment" that true human fulfillment only comes from giving ourselves in love to God and to one another. He called us to live a unity of life, wherein the implications of the Christian faith inform the entirety of life with no contradiction or separation. He confronted, exposed and opposed the "culture of death", wherein the human person is treated as an instrument to be used rather than an unrepeatable gift to be received. He proposed a different way, building a new "culture of life" where every human person, at every age and stage, is recognized as having an inviolable dignity and right to life, freedom and love. He charted a path to peace and solidarity, proclaiming to the nations that we are all our brothers' keeper and that we owe an obligation in solidarity to one another and, most especially, to the poor in all of their manifestations. He wrote of authentic freedom as a freedom "for" and not just a freedom "from", a freedom that must be bounded by truth and lived in accordance with the moral understanding of our obligation to do what is right. He exposed what he called in his Encyclical "The Gospel of Life" the "counterfeit notion of freedom" as a raw power over others. He countered the false notion of the autonomy of the individual as the measure of a "freedom" to do whatever one wants by insisting that the path to human flourishing is communion. He proclaimed a new and true humanism, reaffirming that we were created in the Image of God, made for communion. He insisted that through applying the treasury of the social teaching of the Catholic Church - in our relationships with one another, in our families, in our societies, our nations and in the global community - authentic justice and freedom can actually be achieved. 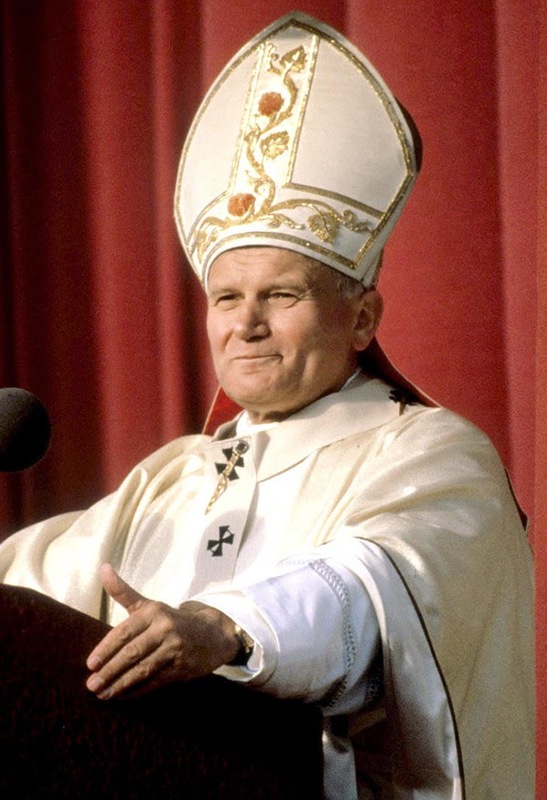 Entrusted for twenty six years with the most important role of service in the Church and the world, Blessed Pope John Paul II was a prophetic Pope in both word and deed. From his first encyclical letter entitled "The Redeemer of Man" to his last, the "Church of the Eucharist", he proclaimed that the truth is, as he wrote in his profound Encyclical Letter on the Moral Life, a "splendor". He called for reconciliation among separated Christians in "May They Be One" and a new model of full communion with the Church which is beginning to be implemented under Pope Benedict XVI with the creation of Anglican Ordinariates as an example. With deep love for the "Light of the East" he called Eastern and Western Christianity to rediscover their dependence upon one another in order that the entire Body of Christ might once again breathe with "two lungs" and present the whole Jesus Christ to a world that needs to be liberated. Again, his successor continues the effort with extraordinary promise. The oft-repeated paragraph 22 from "Joy and Hope", one of Blessed Pope John Paul's favorite, is a key to understanding his deep faith: "In reality, it is only in the mystery of the word made flesh that the mystery of man truly becomes clear. For Adam, was a type of him who was to come, Christ the lord, Christ the new Adam, in the very revelation of the mystery of the Father and of His love, fully reveals man to himself and brings to light his most high calling." He began his pontificate Lion roaring and ended it like a lamb. The once vibrant, strong Pope became frail, sick and physically weak. The giant of a man, who once climbed mountains, mounted the cross of human suffering and, in his frail frame, exercised the authority of his office from a unique chair, still the Chair of Peter, a wheel chair. How fitting for the champion of the weak, the disabled, the elderly, those who have no voice, was finally joined physically to them in order to show the world the truth of the beauty and dignity of every human life. The Pope who revealed the love of God through years of emptying himself out for the Lord and His people showed us the beauty of a suffering endured in love and offered for others in his last days among us. With decreasing verbal eloquence because his lips stammered from the ravages of Parkinson's disease, he achieved something beyond words; he demonstrated the truth of the Christian message of love by revealing the God who came to suffer for us all in his beautiful silence. Then he went home to the Father having become a seed of the "New Springtime" he proclaimed. The Lord proclaimed that "unless a grain of wheat fall to the ground..." and when this Pope's prophetic mission on earth was over he joined the Lion of the Tribe of Judah and the Lamb who was slain for our sins. 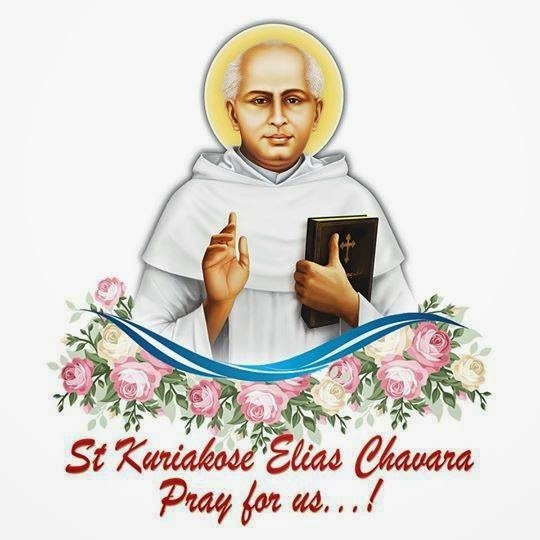 On April 2, at 9.37 p.m., the Octave of Easter and the Vigil of Divine Mercy Sunday, he died, falling to the ground as a grain of wheat in imitation of the Lord whom He loved and served so well. "Since the beginning of his pontificate, in 1978, John Paul II often spoke in his homilies of the mercy of God. This became the theme of his second encyclical, Dives in Misericordia, in 1980. He was aware that modern culture and its language do not have a place for mercy, treating it as something strange; they try to inscribe everything in the categories of justice and law. But this does not suffice, for it is not what the reality of God is about." We had a saint in our midst; a man so filled with Jesus Christ that, like the Apostle Paul, he no longer lived but "Christ lived in him." (Galatians 2) Blessed John Paul was, and is, a messenger of mercy. The cry of the faithful on the day on which his body was processed through the streets of Rome, "Santo Subito" continues. In fact, it grows stronger. We seek his intercession and are inspired by the witness of his holy life and inspiring death. We share our stories of his continued work from heaven. The final step to his canonization is an attested second miracle. According to a 23 April 2013 Catholic News Service (CNS) article by Cindy Wooden that cited news reports from Italian news media agencies, and included remarks by the Pope's longtime aide, Kraków's Cardinal Stanislaw Dziwisz, and Vatican spokesman Jesuit Father Federico Lombardi, S.J., a Vatican commission of doctors concluded that a healing (which took place shortly after the late Pope's 1 May 2011 beatification by his now-retired successor, Pope Benedict XVI) had no natural (medical) explanation, which is the first requirement for an alleged miracle to be officially documented. The miracle is reported to be the healing of Costa Rican woman Floribeth Mora, on the date of John Paul's beatification, of a terminal brain aneurysm. 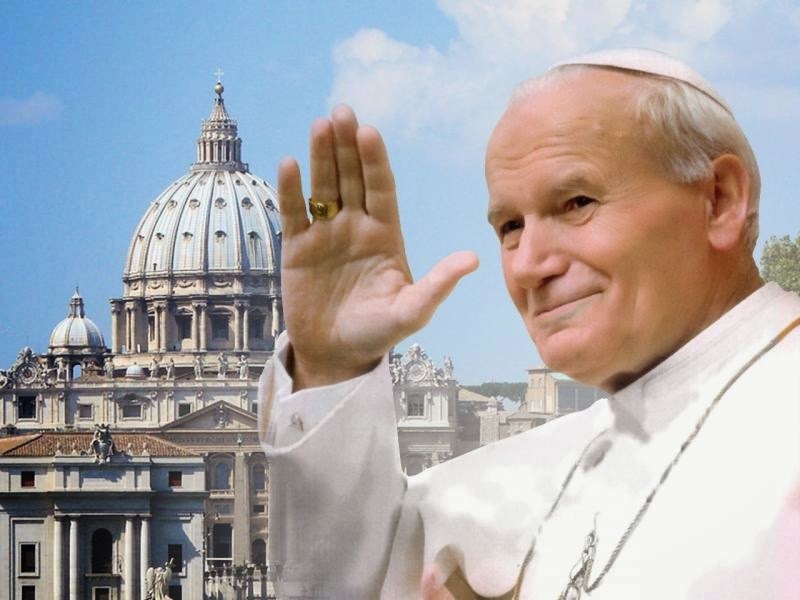 A Vatican panel of expert theologians examined the evidence, and determined that it was directly attributable to the intercession of John Paul II and recognised it as miraculous. The next stage was for Cardinals who compose the membership of the Congregation for the Causes of Saints to give their opinion to Pope Francis, who decides whether to sign and promulgate the decree and set a date for canonisation. 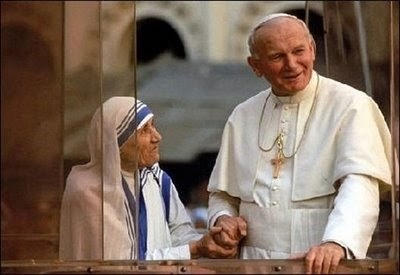 On 4 July 2013, Pope Francis confirmed his approval of John Paul II's canonisation, formally recognising the second miracle attributed to his intercession. He will be canonised alongside Blessed John XXIII.The date of the canonisation has been announced as 27 April 2014, Divine Mercy Sunday.